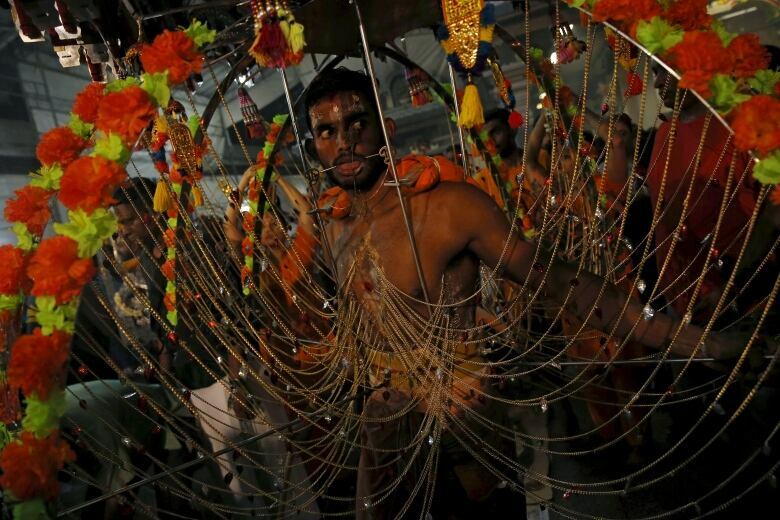 To honour a fabled exchange between Murugan and Parvati, the Hindu god's of war and love, devotees go to extreme lengths to show their devotion during the Thaipusam festival. 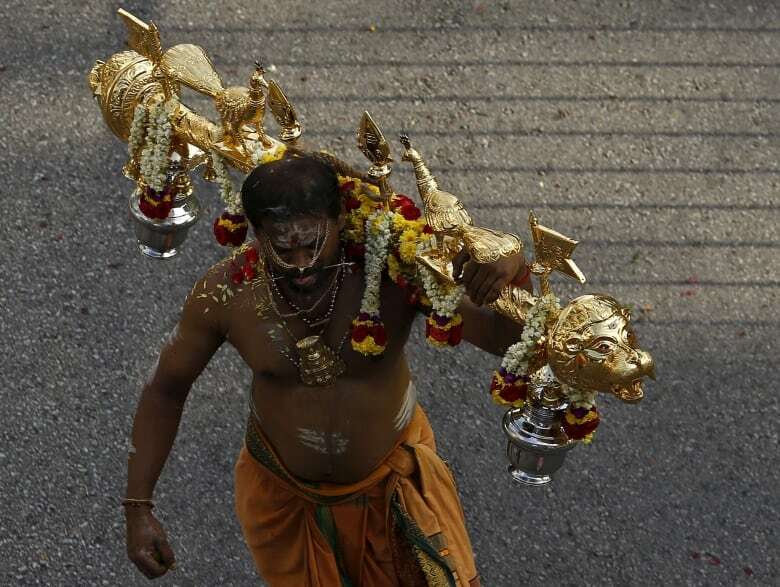 The Thaipusam festival is held in honour of the Hindu war god Murugan, who is fabled to have vanquished evil with a spear given to him by Parvati, the goddess of love. 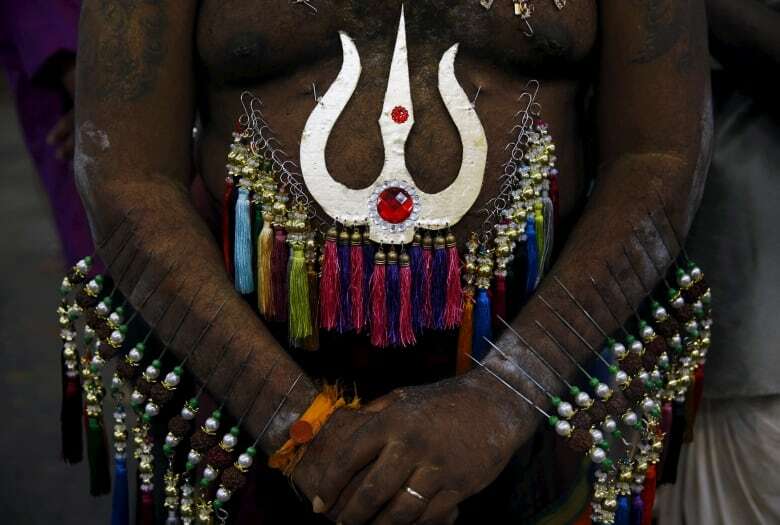 Observed mainly in Tamil communities throughout the Hindu diaspora, the festival is marked by a procession of devotees famed for their ceremonial piercings. 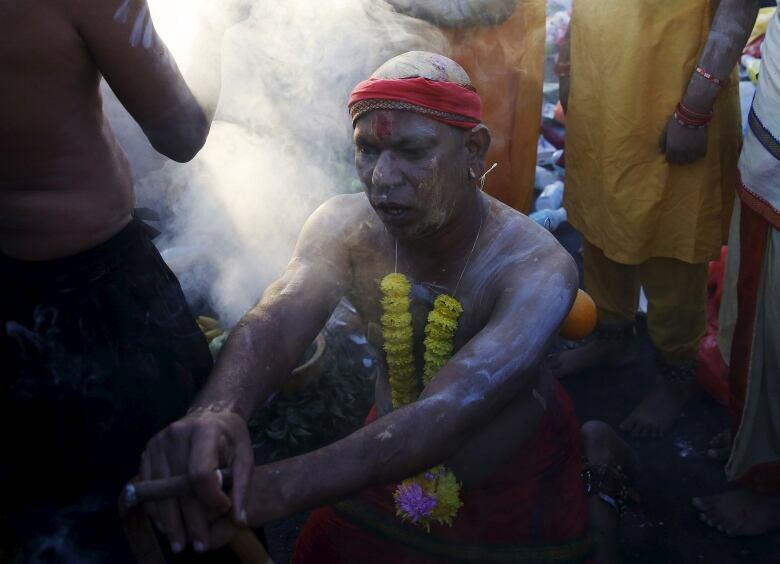 Devotees prepare for the festival by cleansing themselves through prayer, fasting and smoke. 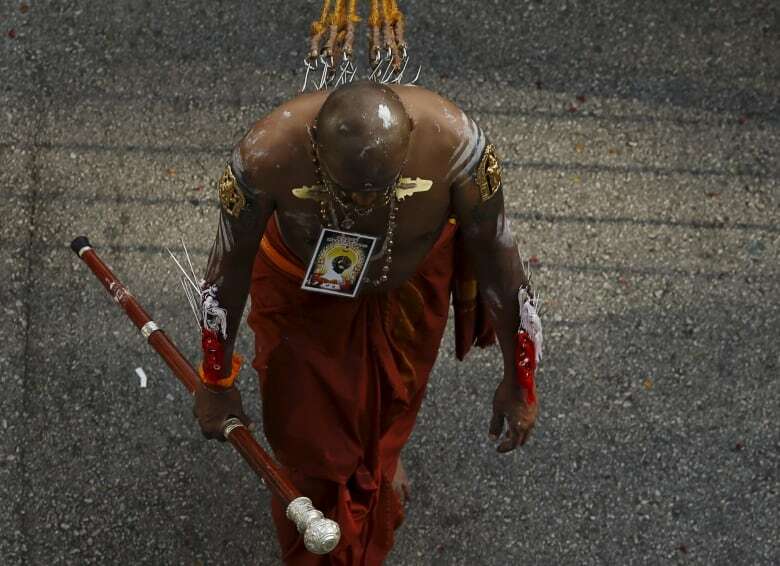 On the day of Thaipusam, participants have their heads shaved before setting off on a short pilgrimage along a set route. 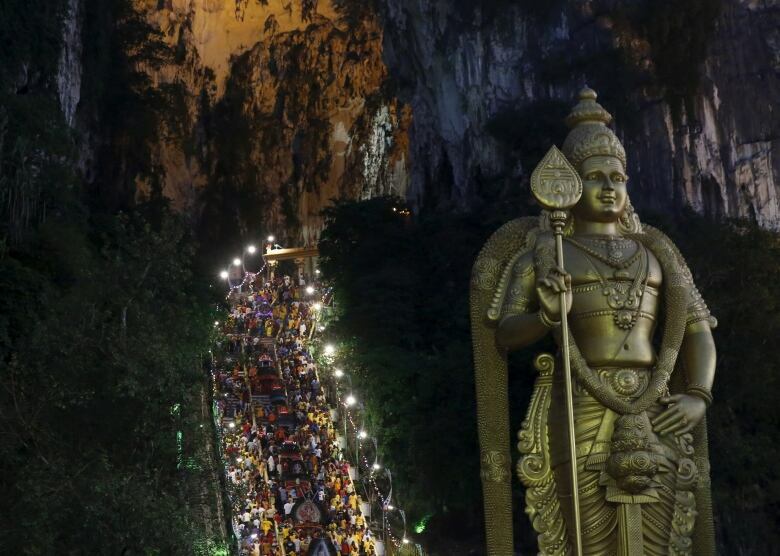 The Batu Caves, in Malaysia, is one of the most popular Hindu shrines outside India. 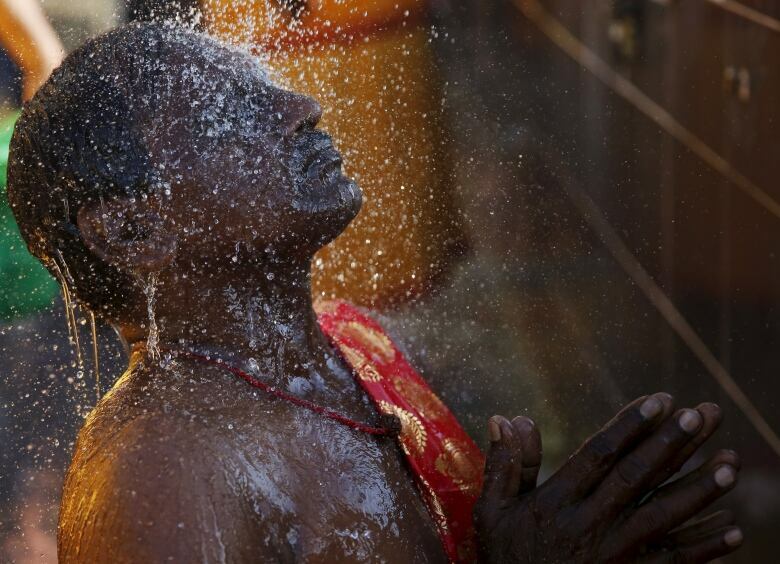 The temple is dedicated to Murugan and is a popular place to celebrate Thaipusam.